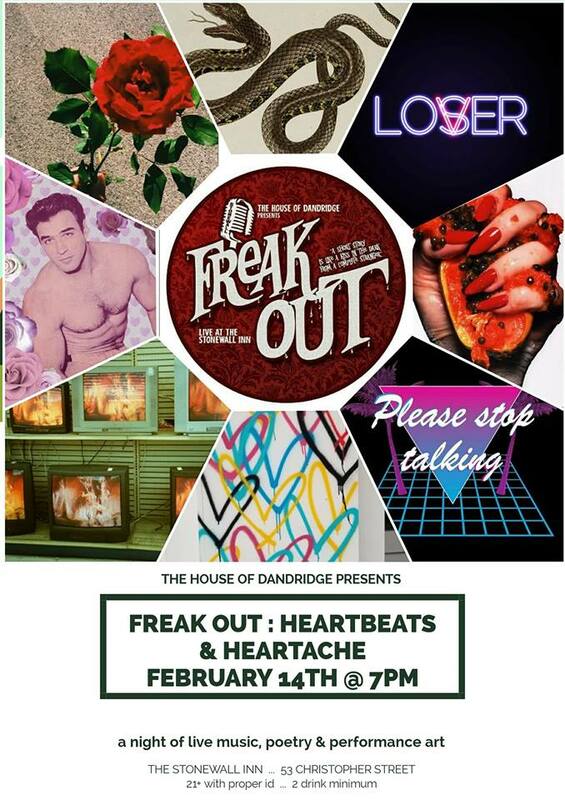 The February edition of The House of Dandridge’s FREAK OUT Show at Stonewall falls on St. Valentine’s Day…So our theme for Wednesday, February 14th is HEARTBEATS & HEARTACHE! We have a few slots open if you are interested, message Chauncey Dandridge for details. Looking for live musicians, spoken worders, comedians, performance artists, etc to join our quirky cast!